In the last year, the transport industry has received several service providers and Ugandans have enjoyed the cheapest rates leaving Matatus and taxis struggling to raise funds due to high rates they charge. Thanks to companies like Uber. From Uber taxis to Uber Boda, Uber has enabled people to reach their destination cheaply and safely due to their unending promotions to their customers. 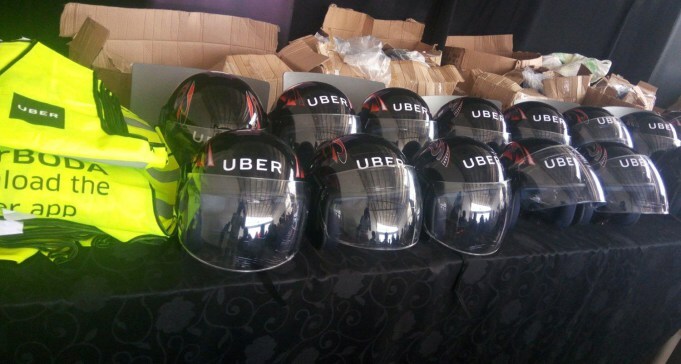 Uber Boda, a motorbike hailing service that Uber that launched 3 months ago in Kampala has expanded its service area. This announcement was made today on their social media accounts. Previously, the Uber Boda service area was limited to areas of Kampala such as the central business district, Nakawa and Makerere. Uber was signing up as many ‘drivers’ as possible before expanding the service area. The service area has expanded to cover areas of Kisaasi- Kyanja, Lungujja, Bwaise, Namasuba, Nansana, Munyonyo, Lusanja and surroundings areas. UberBoda is now available to users who stay in areas distant from the city centre. That’s not the only great news from the international ride hailing service. Users of UberBoda will receive 50% discount on all trips until the 8th of July 2018. 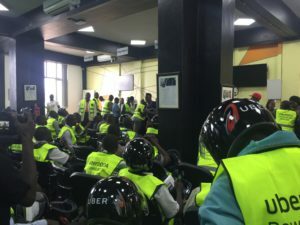 According to Noella Nawandigi, the Marketing and Media Communications Coordinator for Uber Kampala, she said the discount amount is not limited and promotion will be automatically applied to a riders account. This is definitely good news for those users that were limited to using UberX due to previously smaller service area. The discount is also something riders are bound to enjoy. We shall keep you posted ere at Flash Uganda media.